Thai Police Arrest Notorious Asian Trafficking Kingpin on Friday at Hakhon Phanom. The Interpol and Thai police have nabbed ' a major broker' in ivory smuggling network: Thanks to the Thai police for assisting in the apprehending a notorious wildlife trafficker on Friday. Boonchai Bach is a 40-year-old Thai-Vietnamese descent and a suspect believed to run illegal businesses and syndicates of rhino smugglers in African countries, mainly from Sub Saharan African region. He denied the charge, but investigators insist they have key evidence to implicate Boonchai Bach as prime suspect for international organized crimes. The deputy national police chief Pol Gen Chaloemkiat Siworakhan in Bangkok,Thailand, said at least the task force is working hard to combat the illegal ivory trade by bring to book the kingpins that allegedly being responsible for the fueling Asia's illegal trade over some decades, officials said Saturday. 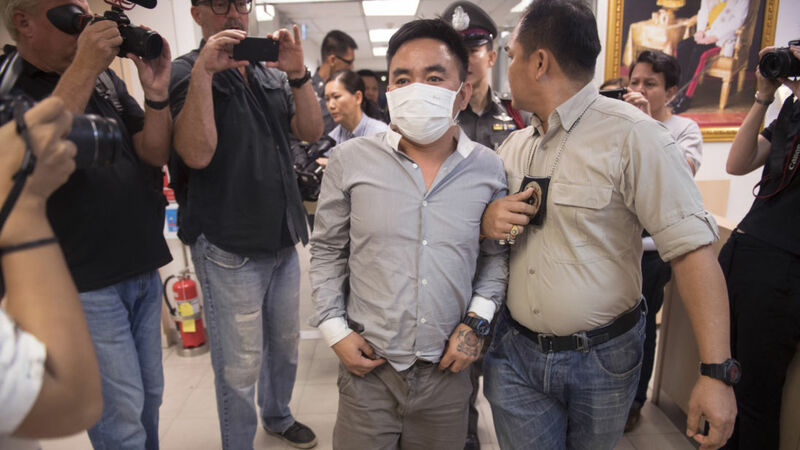 An initial investigation found a connection between Mr Boonchai and rhino trade gangsters nabbed by the authorities in December last year, he said, adding the operation to arrest the man was carried out with a court warrant. In a separate report the police is also pursuing three suspects -- a Thai plant quarantine official at Suvarnabhumi airport and Vietnamese and Chinese nationals who were accused of colluding in the smuggling 14 rhino horns, worth about 50 million baht, from South Africa to Thailand. The officers suspected Mr Boonchai, whom also known as "Bach Van Minh", is a "major broker" for the illegal trade, Pol Gen Chaloemkiat supported. The suspect had been spotted by police at a tourist pier near the Thai-Lao border in Nakhon Phanom's Muang district. Usually Mr. Boonchai runs his businesses in Laos, but oftentimes travelling lot between the two countries via a checkpoint in the northeastern province. Police believe he may be involved in other cases of smuggling activities. The international smugglers of ivory used Thailand as a transit for items destined for a third country in Asia. Rhino horn is a prohibited item listed under the Convention on International Trade in Endangered Species of Wild Fauna and Flora, also known us CITES. One kilogramme of rhino's horn on black markets is said to fetch a profit around 3.2 million baht which is equivalent to (N$1.22).